Properly installed and maintained gutters and fascias are vital to ensure your roof is able to function correctly and the integrity of your property is maintained. If you have timber fascias and soffits, it is likely that they will become rotten over time and require regular maintenance. Replacement with uPVC means they will never rot, flake or discolour and will stay looking good for many years to come. 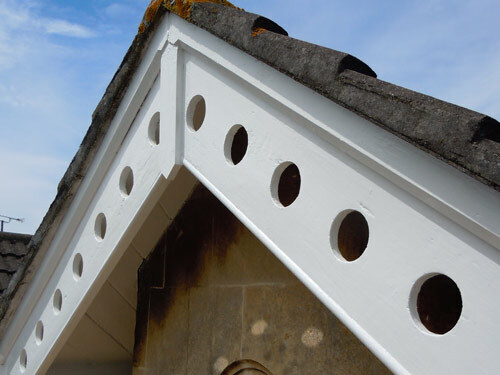 Apex Building Services have many years' experience in installing uPVC guttering to property owners in Weston Super Mare, Portishead, Clevedon, Bristol and surrounding areas.